Forty, the word by itself is not frightening, and I remember when I turned forty, I considered it a milestone, but still not frightening. I was part of the Baby Boom Generation and surprisingly so, the vast majority of us hit our fortieth birthday without much angst. As I look back even the numbers fifty and sixty, while I considered them milestones, I was fine and survived the moment, and I even have to say that my Bride did not labor over the numbers either. Then our eldest son hit forty and my Bride then lamented the number, and all I could do was try to console her, after all life goes on. She tried to be oh so secretive and planned a birthday brunch for the occasion. She went full tilt in trying to create a brunch, even though my suggestions of duplicating the “Breakfast at Brennan’s” did not go over that well, unless as she implied I felt like making Turtle Soup, Eggs Benedict and Bananas Foster for a crowd of thirty or more; and I saw the wisdom in her words. As it was she still put out a great spread starting with cheeses, hummus and guacamole. Then she made a couple of different quiches, scrambled eggs, bacon, cheese blintzes, stuffed cabbage, some salads and slab of salmon. Of course she did not forget the cake either and a Key Lime pie, as she revels in the thought of preparing large meals for crowds and she was in her glory. Though she belabored the fact that so many of her family does not consider stated times as important. I tried to make some feeble attempts at humor, as to the fact that perhaps the guest of honor would be the first to arrive at his surprise party and that he could surprise each group of late well wishers as they entered the door. We had enough people that showed up early and had parked their cars down the street, to at least make the surprise work, and then we had a few that magically appeared just as the meal was being served. As for the surprise, alas it was not a surprise, as the guest of honor had actually heard his Mother and his wife make the original plans as their voices were loud enough on their cell phones that it carried into the next room where he was seated. Congratulations to him though, as he gamely played through the charade and confided the facts later on that afternoon. The beverage of choice was easy for a brunch, we went with Mimosas. The secondary refrigerator already had some sparkling wine and it wasn’t that hard to add some more bottles in there. Since we were making Mimosas we did not need Dom Perignon, but just some sparkling wine. 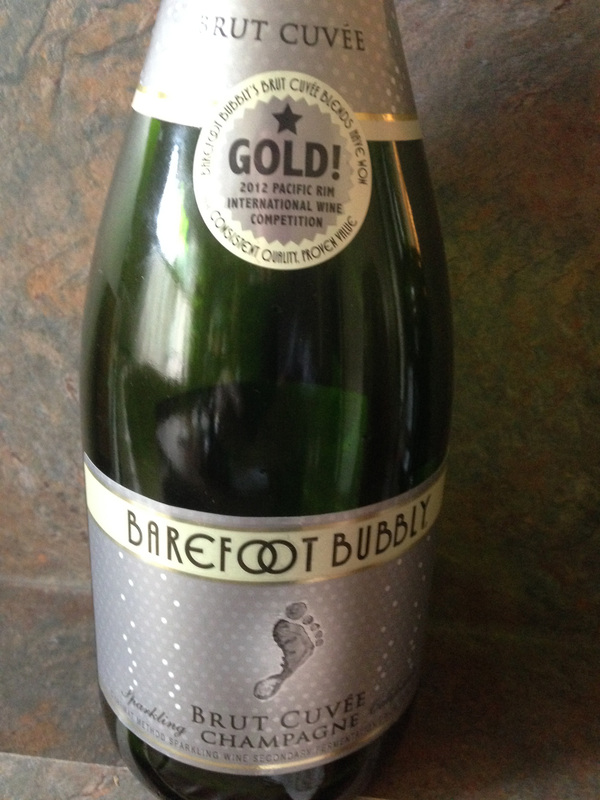 We started of with Barefoot Bubbly Brut Cuvee NV, a Sparkling California Champagne made with Chardonnay, that was ideal for blending with the orange juice. This wine is made from the Charmat Methode with secondary fermentation just prior to bottling and it added to the festivities. After the Barefoot was gone, I went and grabbed another bottle, that was actually too nice for Mimosas, but it was cold and the moment required it. I opened up a Michigan wine that was great. 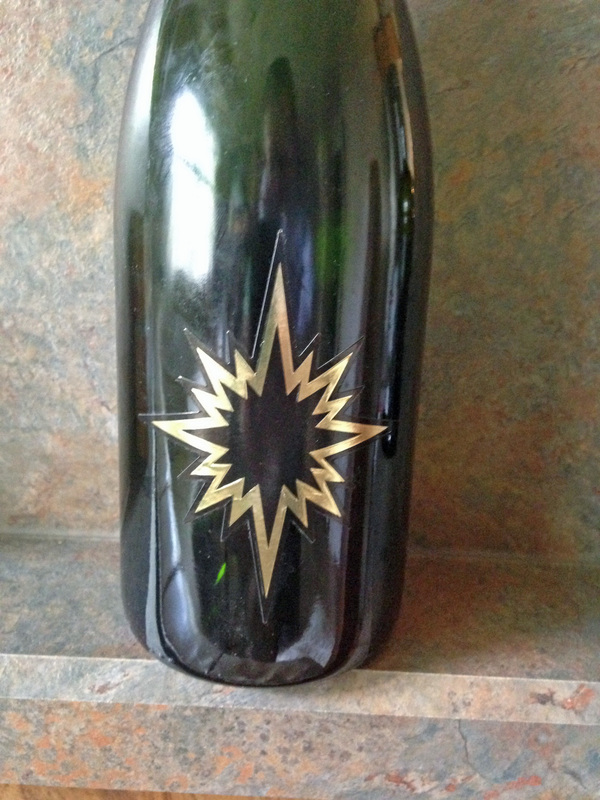 A bottle of Black Star Farms Leelanau Sparkling Wine NV that is made Methode Champenoise and it is always a pleaser. This wine is a blend of Chardonnay, Pinot Noir and Pinot Blanc and they only made 500 cases of it, and I enjoyed it without the addition of orange juice. In fact, there was still some left over after everyone left and I used a champagne storage stopper and had it the next day and it was still bubbling with streams of tiny bubbles and it may have been my imagination, but it almost tasted better the next day. This entry was posted in Dining, Wine and tagged Barefoot, Black Star Farms, Bubbly, California, Chardonnay, Charmat Method, Leelanau Peninsula, Methode Champenoise, Michigan, Pinot Blanc, Pinot Noir. Bookmark the permalink.